I know we haven't even celebrated Halloween yet, but I am enjoying my Christmas Card making so much!! 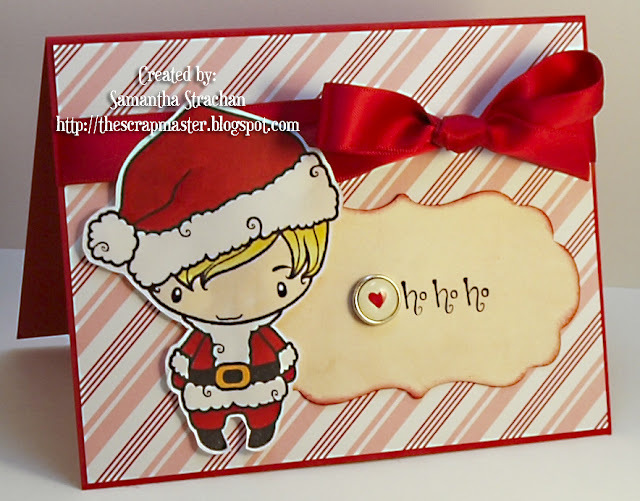 This week, I had a chance to work with the Xmas Sweeties stamp set from The Greeting Farm and it is a must have for those Christmas cards. For the next two weeks (at least! 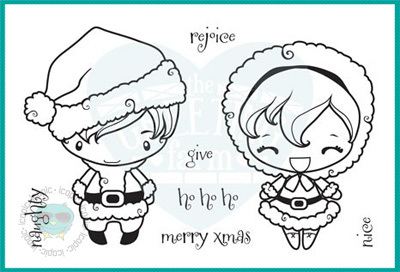 LOL), I am going to be sharing many more cards using this adorable stamp set! This set is available in the iCopic store so be sure to grab one today. I colored him in with the following Copic colors. *REDS: I have had a lot of difficulty blending reds and so I have experimented a bit to determine what works best for me. Are you ready to hear my secret? OK so when laying down the first layer of red, I use my lightest color and use a VERY LIGHT TOUCH, I lay down just enough ink so that the area looks red, but I do not saturate the paper. Then again, I go in with a very light touch with my darker color. When blending, I continue to use a light touch, taking care not to lay down too much ink. With reds, a little bit of ink goes a LONG way. *Think about your image: When deciding what areas of the image need to be darker vs lighter, think about the image as if it were a 3D image. If someone is wearing a hat, chances are, there is going to be a natural shadow given off by the brim of the hat. So I thought about that and decided to make his hair darker near the hat. So before you color, take a moment to just think about where the natural shadows might be.